This book charts some of the unique and extraordinary achievements of Descendants youth organisation, from its founding in 1993 to March 2012. Open this book to read how Descendants young people met the Queen at Buckingham Palace, and performed at her Golden Jubilee parade. They were invited to help launch an education bill, with the then Prime Minister, Tony Blair. Follow Descendants as they perform at the Royal Albert Hall for Patti Boulaye’s charity, they act in a film made and directed by Pogus Caesar (which was shown alongside Steve McQueen’s films at the Lumiere Theatre) they visit Oxford University, their artwork is exhibited at Pitzhanger Manor Art Gallery, they raise money for charities, and meet famous and inspirational people. Descendants Annual Achievement Awards honour the achievements of young people of African and Caribbean descent from Descendants and Ealing schools. There have been many other inspiring projects and events. Recent initiatives include helping to organise a conference, setting up accredited parenting classes and boys-only and girls-only clubs. This book is inspirational reading for young people, parents, teachers, youth workers, and anyone who believes in what young people can achieve. It is all the more important that young people and adults, all members of the Descendants community, have worked together to write the story. 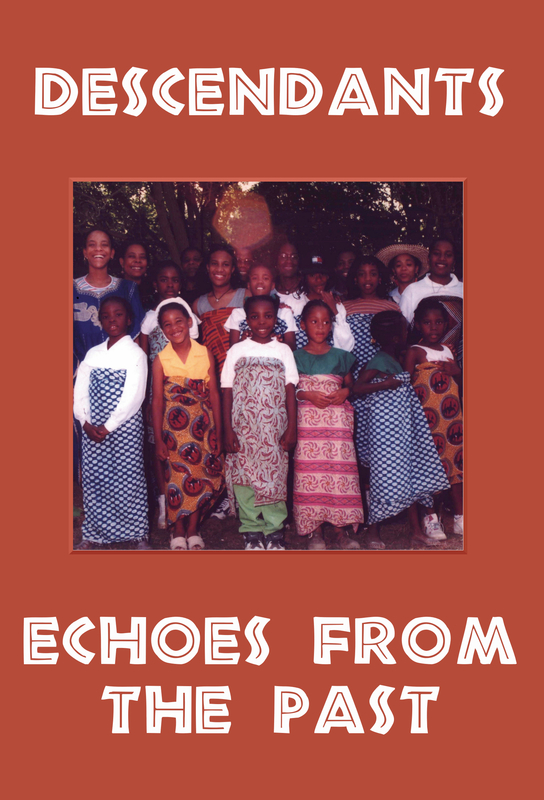 This is a great achievement for Descendants, publishing their first book ‘Echoes From the Past’ and I think it is a great way to document all the success stories, struggles and triumphs of such an inspiring, beneficial community youth organisation. I look forward to reading it.